Ten years on from their first book, Evangelism: Which way now? which has become a valuable and much recommended resource, Mark Ireland and Mike Booker aim to take people a step further. Making New Disciples offers a practical approach, based on careful theological reflection and years of hands-on experience in local church leadership, theological education and the national church. The book is not so much a Which? guide to the available resources, as a wrestling with the paradoxes of evangelism in a changing world, backed up with plenty of stories and specific examples. 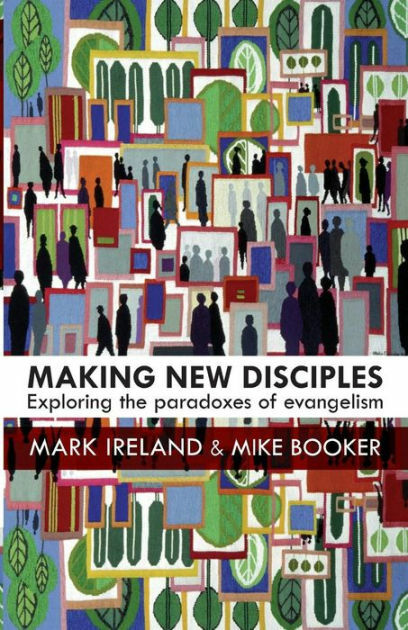 Making New Disciples by Mark Ireland; Mike Booker was published by SPCK Publishing in December 2015 and is our 23451st best seller. The ISBN for Making New Disciples is 9780281073368. Be the first to review Making New Disciples! Got a question? No problem! Just click here to ask us about Making New Disciples.